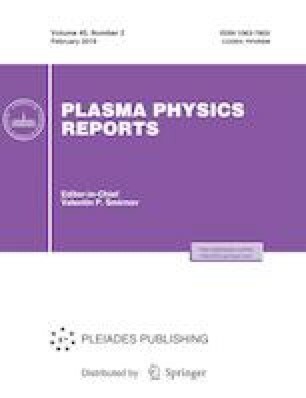 Results from studies of plasma production and confinement in Galatea multipole magnetic traps at the Russian Technological University MIREA are presented. The magnetic systems of such traps are considered. It is shown that it is possible to design a system in which plasma bunches and neutral atomic beams are injected along the major radius of the torus. Different methods of plasma production in such traps are studied. It is shown that plasma production by means of an electric discharge is inefficient. The process of loading of the trap with plasma by injecting a plasma bunch is studied in detail. The parameters of the plasma bunch at which it is efficiently captured by the trap are determined. The azimuthal diamagnetic current arising after the plasma bunch is injected into the trap is measured using a Rogowski coil. The interaction of this current with the magnetic field of the trap results in the appearance of the Ampère forces confining the plasma. The plasma temperature in the trap can be determined from the measured value of the diamagnetic current. It is shown that it is possible to design a laboratory prototype of a trap with two levitating coils. The magnetic field and ion temperature in such a trap are estimated to be 0.37 T and >300 eV, respectively. This work was supported in part by the Ministry of Education and Science of the Russian Federation (project no. 3.5160.2017/BCh) and the Russian Science Foundation (project no. 16-11-10278).